We're thrilled to add MariNaomi to the creative roster for the SubCultures comics anthology! MariNaomi's first book, Kiss & Tell: a Romantic Résumé, Ages 0-22 is a great memoir that came out in 2011, and her next, Dragon's Breath and Other True Stories will be published later this year by the excellent Minnesota "micro-publisher" (bigger than us though! ), 2D Cloud. We present below a double preview: because MariNaomi's entry in SubCultures, "Yamamoto Hostess Bar," is an excerpt from her next next book, Turning Japanese, which should appear in 2015, also from 2D Cloud. MOCCA: April 4 & 5! 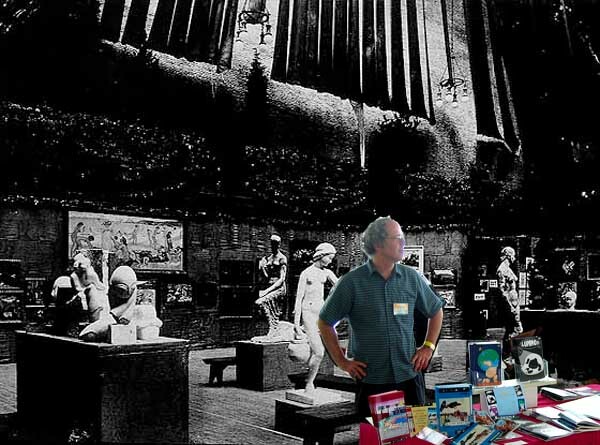 The 1913 Armory Show -- take it from me, that was a great show! If you missed us there, we'll be back for MoCCA 2014! 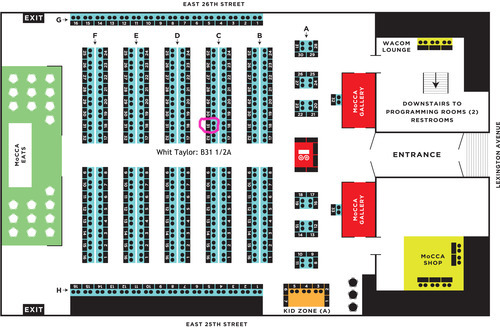 Table chart courtesy of Whit Taylor... Ninth Art Press table is right next to hers: table B32. 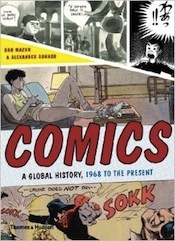 Comics: a Global History, 1968-Present. We'll have 2 display copies only, not for sale, but this will be the first time the book has been seen in public! There'll be a postcard for the book as well! 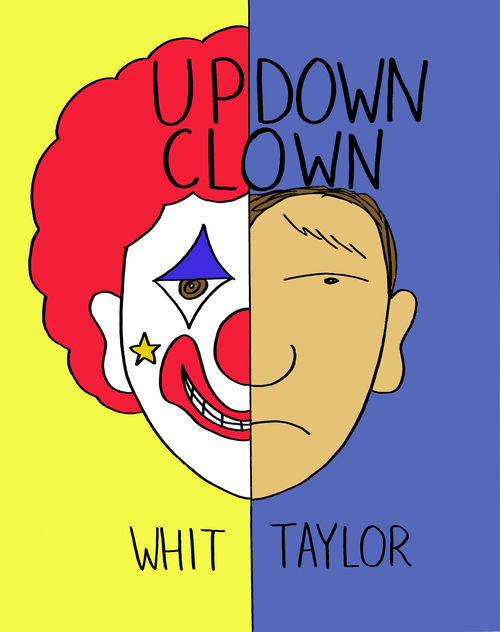 Up-Down Clown by Whit Taylor. A MoCCA debut, Whit's new graphic novel, a sweet, perceptive and moving, naturalistic fiction about a young professional clown dealing with emotional, relationship and career issues. The SubCultures anthology preview postcard! The book is still a few months off, but MoCCA will witness the world premiere of this glossy, 4x6 postcard, revealing Box Brown's delectable cover! Yes, that makes two free postcards at the table! Suitable for framing or for keeping in the big pile of stuff you got at MoCCA that sits in the corner until sometime next year! And of course you will find an assortment of Ninth Art Press excellence, including the anthologies Show and Tell, the Greatest of All Time Comics Anthology, In a Single Bound 1-3, plus Cold Wind and other one-shots. MoCCA is a great show, and you should not miss it! Stop by and say hi. Another tantalizing look at an entry from the upcoming SubCultures Anthology" (edited by whimsical Whit Taylor): Why do you Watch Professional Wrestling" by Mister V.